RELTRONICS offers a wide range of services including Novell and Suse Linux operating systems installation. They also provide administration and customisation of the Linux operating system and installation of various Linux software. Reltronics also offer professional tutoring services in the Adelaide area, South Australia. Reltronics is a Novell Certified Partner and their staff are Novell Certified Linux salespersons. Both Novell Linux Desktop and Suse Linux Professional provide strong security to protect data and reliability. Linux-based platforms are not susceptible to interruptive and costly Windows viruses, worms, spyware and adware. Linux comes with a secure firewall and also has effective anti-spam filtering software. Linux Professional 9.3 features an easy-to-install Linux operating system that lets users browse the Web, send email, chat with friends, organise digital photos, play movies and songs, and create documents and spreadsheets. It can be used to host a Web site or blog, create a home network and develop a user’s own applications. 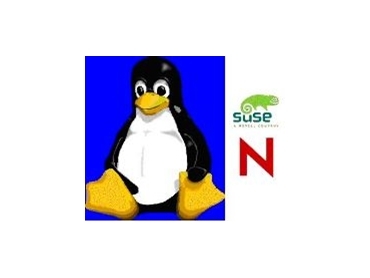 Novell Linux Desktop 9, powered by Suse Linux, offers a leading end-user productivity environment designed specifically to empower businesses to leverage Linux and open source with confidence. Novell Linux Desktop 9 can be deployed as a general-purpose desktop platform or tailored for use in information kiosks, call centre terminals, or stations for infrequent PC users. Novell Linux Desktop also provides an ideal alternative to high-cost Unix-based engineering workstations. Novell Linux Desktop users who are seeking to avoid single-vendor lock-in of their desktop systems can comfortably interoperate with Windows-based users, within or between organisations.